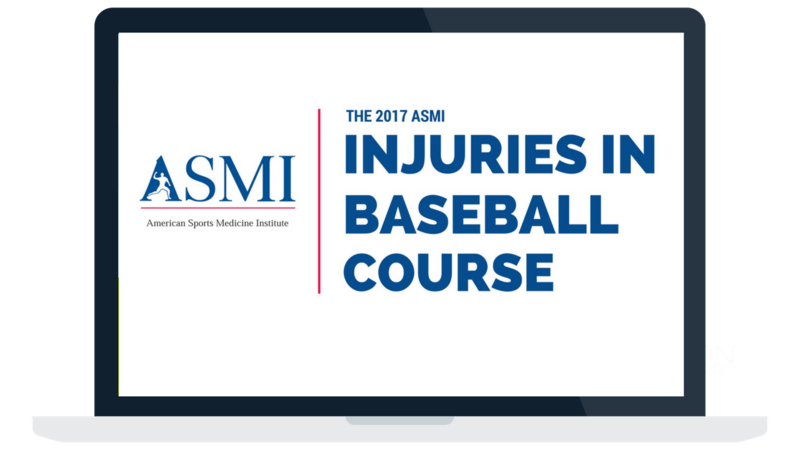 It seems like we are starting to see more and more injuries to the latissimus dorsi, or lat, in baseball pitchers than ever before. 20 years ago, lat injuries in baseball pitchers were fairly rare. You always had the one or two you’d come across, but they certainly weren’t something I would call a common injury. In this article, I’m going to discuss the anatomy, role of the lat during pitching, and reasons why I believe lat injuries are increasing. Then, based on this information, I’ll outline several key factors to considering when trying to prevent, diagnose, and rehabilitate lat injuries in baseball pitchers. The latissimus dorsi muscle is a large flat muscle of the back. It has several attachment points on the back of the body, which can vary for each person. The muscle blends with the thoracolumbar fascia of the lower back and spans out to attach to the iliac crest of the hip, the lower ribs, and the spinous processes of lower thoracic vertebrae. Some studies have even shown that up to 80% of people will also have some attachment to the scapula as well. This attachment point is very close to the teres major muscle, a muscle that is intimately related to the lat in both anatomy and function. Please note: I am note referring to the teres minor muscle, which is one of the rotator cuff muscles, but rather the teres major. At the point of the scapula, the lat runs parallel with the teres major muscle. In many people, the lat and the teres major may actually even blend together. In fact, baseball pitchers can injure either or both of these muscles from pitching, but you rarely hear about teres major injuries. Often times these will just be grouped together and labeled a “lat injury.” Of the 16 subjects in a recent study by Nagda in AJSM, only 3 had an isolated injury to the latissimus. Similarly, in another recent review by Schickendantz from AJSM, only 5 out of 10 subjects had isolated lat injuries. The lat actually attaches to the floor of the biciptal groove while the teres attached just next to it. However, there many fascial connections between the lat, teres major, pectoralis major, coracobrachialis, subscapularis, biceps, triceps and others. As you can see, the lat and teres major (and others), attach along near the biceps tendon. I have never been a big believer in biceps pain in baseball pitchers. I just don’t think it happens as common as it is diagnosed. It has never been something that I have focused on with my athletes. Many people often just assume anterior shoulder pain is biceps pain and use that as a junk diagnosis. But doing so is careless and leads to less specific rehabilitation programs. Both the lat and teres major function to perform shoulder extension, adduction, cross body adduction, and internal rotation. As you can see, from the point of full layback in the throwing motion, these are the exact motions that are performed when throwing. If you’re not convinced that the lats are important in baseball pitchers, take a look at your athletes with their shirts off. The asymmetrical hypertrophy of the lat on the throwing side is amazing. The volume of throwing in baseball pitchers causes a significant growth in the size of the lat. As you can see, the layback position when the arm transitions from moving into external rotation and into accelerating into internal rotation is an extremely vulnerable position of many injuries. In their classic research studies looking at the EMG of muscles during baseball pitching, Jobe and Gowan have shown that the lat becomes active during late cocking as the arm comes into full external rotation in the layback position. This is the period where the arm transitions from moving into external rotation to moving into internal rotation. EMG during this phase has shown that the lat is significantly active in this phase, at 168% of a maximal manual muscle test. This means that the lat contracts nearly 2x more aggressively during throwing than when pushing as hard as they can on a manual muscle test during your clinical exam. This makes sense, as Fleisig and colleagues at ASMI have shown that the arm has a significant amount of stress in this position and accelerates at over 7000 degrees per second, which is the fastest recorded human motion in sports. The lat has a significant role in slowing down the arm flying into layback and then transitioning into internal rotation through the arm acceleration phase of throwing. Why Do Lat Injuries Occur in Baseball Pitchers? The anatomy and function of the lat has not changed, so why are we seeing an increase in the amount of lat strains in baseball pitchers? We know a few things are evolving in baseball. Just over my short career, I have seen the physical characteristics of baseball pitchers evolve. Back in 2008, I published a research study that looked at the range of motion of professional baseball pitchers and noted that their throwing shoulders had 137 degrees of external rotation. When we measure players now, it’s not uncommon to have 140-155 degrees of external rotation. We know that external rotation in the throwing shoulder is due to boney adaptations from throwing while the growth plates are open. Youth baseball players are throwing so much, that the volume of throwing is likely leading to more boney changes, and more layback. So that lat will need to produce tension to eccentrically control the arm into layback and switch to concentric acceleration from a more biomechanically disadvantageous position. The lat is needing to produce more force at further amounts of end range of motion. So, take your increased shoulder external rotation and add more throwing and you are pushing both volume and intensity. Each time you throw, I believe you have a micro-injury of the muscles of the arm, including the lat. We know that the arm gets tight right after throwing, likely due to this stress. What we are seeing more and more at Champion, are baseball players with a loss of overhead shoulder elevation and cross body abduction. To me, this is a sign of excessive workload, poor recovery, or most likely both. This slowly worsens over the course of a season if not addressed. When we evaluate the shoulder, it’s clear that tightness of the lat and teres major are the contributing factors to this tightness. If the lat is tight during the throwing motion, that is going to cause more stress at the full layback position each and every throw. So, now we have more external rotation of the shoulder, putting the lat in a biomechanical disadvantage, plus cumulative tightness of the lat from the stress of throwing, which causes increased tension at end range. Add more strength and power in the modern day baseball player and we are just adding fuel to the fire. Baseball strength and conditioning has evolved over the years and has done an amazing job building strong powerful athletes. Well designed baseball strength and conditioning programs are different from those of other sports. However, it is very common to have high school, collegiate, and even professional baseball players perform the same type of strength and conditioning program as other sports, such as football and hockey. You have to start questioning if focusing on developing maximum strength and power is the best approach for baseball pitchers. Are we starting to put too much focus on always trying to add strength and power? Are we focusing too much on strength and not athleticism? I know in my time in Major League Baseball, very few baseball pitchers had overdeveloped upper body strength. They all had strong legs, but most professional baseball pitchers looked quite average with their shirts off. Who am I kidding, many were well below average! But these were MLB All-Stars and Cy Young winners that threw in the upper 90’s. These days, baseball pitchers are starting to look like body builders, with the notion that more is always better. Just like everything else, there is likely a diminishing reward to strength training when your job is to throw a ball, and proper strength and conditioning programs must periodize the stress involved on the body. I can’t tell you how many times I shake my head when I watch videos on social media of players trying to hit a max effort lift in the weight room in the spring. If you are still trying to maximize your strength in the spring and not focusing your stress on pitching, you are missing the boat on what makes a great pitcher. As you can see from the first three reasons I believe lat injuries in baseball pitchers are increasing, we are increasing the stress applied to the lat in many ways from increasing shoulder joint mobility, to decreasing lat mobility, to increasing lat strength and power. The final reason I believe we are seeing so many more injuries takes all these into consideration, however, may be the final straw that broke the camel’s back. In addition to the above, the culture of baseball now is pushing velocity at all costs. The current state of baseball believes that velocity is king. So we are seeing throwing programs that include things like aggressive long toss and weighted ball programs being pushed throughout baseball in an attempt to maximize velocity. There is a time and a place for these programs, however, many if not most athletes performing these programs are not prepared for these programs. I’ve said it hundreds of times before, but performing a velocity enhancement throwing program without skeletal maturity, a solid foundation of total body strength, and a proper baseline of arm strength is like frosting the cake before you ever baked it. In our recent research projects with ASMI and Motus Global, we have identified that the likely reason that weighted ball programs are effective at gaining velocity is due to the increased amount of shoulder external rotation that occurs over the course of a weighted ball program. Our study has shown an average of 5 degrees of external rotation of the shoulder is gained over the course of a moderated 6-week weighted ball program. Over time, pitching with this increased range of motion and velocity can overload muscles like the lat and lead to injuries. We are pushing past our physiological limits. To prevent lat injuries, you first need to understand the 4 concepts that I discuss above. Without an understand of why lat injuries are occurring, we’ll never be able to prevent them. Taking the above factors into consideration, we can reverse engineer how to potentially reduce lat injuries. Since we are developing greater amounts of external rotation of the shoulder, we must emphasize proper strength and dynamic stability of the shoulder. Essentially, if we are decreasing our static stability, we need to enhance our dynamic stability. We must perform soft tissue techniques, both manually and through self myofascial release, to maintain proper lat and teres mobility. Strength and conditioning programs must emphasizing complete athleticism and not just maximum strength and power. These programs must be periodized to decrease the emphasize on strength as baseball pitchers start to get closer to the season and pitching off the mound. We should avoid pushing past our physiological limits with weighted ball and long toss programs without an adequate foundation of physical maturity, strength and conditioning, and arm strength. Realistically, despite the above information, we are going to continue to see lat injuries in baseball players. I’ve heard many people say that lat injuries are often overlooked and difficult to diagnose. I just think we aren’t looking hard enough. It seems like anyone with anterior shoulder pain is diagnosed with “biceps tendonitis,” which I hope you will carefully scrutinize in the future after reading this article. Next time someone has anterior shoulder pain, don’t jump to the conclusion that it’s from the biceps. Look at overhead and cross body mobility. Test the lat function with manual muscle testing including straight arm pulldowns, arm abduction, and shoulder internal rotation and see if it is weak or produces symptoms. Also keep in mind that lat injuries can present with either anterior or posterior shoulder pain. Strains at the muscle tendinous junction tend to have posterior shoulder pain, in the back lower armpit area. But these are the easier types of lat injuries to diagnose. It’s the anterior pain that I think we are missing. Lat injuries need to be shut down from throwing for longer than you think. On average, I tend to shut players down for 4-6 weeks, but now that we are identifying these injuries sooner before they become huge injuries, I sometimes consider as soon as 2 weeks. The chance of reinjury is high. I have seen many players reinjure their lats from trying to come back too soon, or progressing too fast. It’s hard to stress the lat appropriately in the clinically setting. The act of pitching places a tremendous amount of stress on the lat. Players will have a satisfactory clinical examination before the lat is ready to throw. As a general rule of thumb with lats, I tend to say that you must pass my clinical examination, then wait an additional week before you can start throwing. Seriously. There is no doubt about it, lat injuries in baseball pitchers are becoming more common, and probably will continue to do so as we continue to push out limits of throwing velocity. To prevent, diagnose, and rehabilitate lat injuries, you have to understand the anatomy, function during pitching, and pathomechanics of lat injuries. Can Your Athlete’s Joints Do What You’re Asking Them to Do? Do the hips “get open”? How and when does the pitcher initiate that rotation? Can the pitcher “create” separation between his hips and his torso? These are all valid concerns! But, I have found that in teaching rotation coaches often neglect a key quality that ultimately dictates a pitcher’s ability to achieve effective lower body mechanics. What coaches seldom consider is how a pitcher’s femurs move relative to their respective acetabulums (see the video below), and how this relationship can affect the overall pitching delivery. When most coaches talk about “the hips” — particularly “hip” rotation — they are actually referring to the pelvis. Differentiating hip rotation from pelvic rotation may seem like a matter of semantics (okay, who cares? ), but I promise you this is an important distinction. Hip rotation and pelvic rotation are in fact very different, and, as you will see, insufficient hip rotation can become a significant detractor to efficient pelvic kinematics. The femoroacetabular joint (the “hip” joint) is a “ball-and-socket” articulation composed of two bony surfaces: (1) the femoral head (the “ball”), and (2) the acetabulum (the “socket”; see picture below). As with any articulation, relative motion between the composite parts is an indication of joint health. That is, a healthy hip is one in which the femoral head (the “ball”) moves well through an appropriate range of motion relative to the acetabulum (the “socket”), and vice versa. So how does this play out in the pitching delivery? If you look closely at the pitcher in the video below, you may be able to detect a couple of things happening in his lower half as he goes through his stride phase that many pitching coaches would probably agree are suboptimal for this particular athlete. (Let’s ignore the arm and what happens with the stride leg through deceleration for now). First, we see an early — what some coaches might consider a “premature” — rotation of the pelvis. Second, we see an extremely short/truncated stride. What may be less obvious is the lack of internal rotation (towards home plate) of the rear/drive leg — it doesn’t seem very “engaged”. Can you see it? Is this a timing issue? A mechanical tweak that needs to be made? Could it be a mobility restriction? Upon assessing him on the table, it became abundantly clear to me that the mechanical issues in his lower half stemmed from both a lack of adequate range of motion in both hips, as well as poor dissociation between hips. As you can see in the pictures above, he had very limited — if not non-existent — femoroacetabular internal and external rotation range of motion (often a sign of a tight hip capsule, but that’s an article for another time). But, what is equally important in this case, is the lack of dissociation (independent movement) between his left and right hip, which you can appreciate in the video below. Watch as I take his lead/stride leg to max abduction, and then add external rotation (which is essentially the same thing that’s happening during the stride phase of his pitching delivery, just passively). His rear/drive leg internally rotates! The rotational motion of his right hip joint is coupled to the motion of his left hip joint. What we would like to see in this case is independent motion — the rear/drive side pelvis should rotate without the femur moving (at least as much as it is currently). It’s subtle. But, it’s important. Simply put, his hip joint wasn’t behaving the way a hip joint should — especially if you want to deliver a baseball with elite velocity and command, and in the most energy efficient way possible. This is important! Stuart McMillan touched on this concept here. In this case, the pitcher in the video above does not demonstrate the ability to independently internally rotate his rear/drive side femur relative to his pelvis. Rather, his hip acts as if the femur and the acetabulum are coupled. When one moves, the other does too. They are essentially “glued” together. As a result, the right pelvis has no choice but to rotate as soon as he begins internally rotating the femur on his rear/drive leg, and his momentum transitions forward sooner than is (probably) desired. Now, if you look at the lead/stride leg, you can see that, again, there is little dissociation of the femur from the pelvis itself. As the pitcher approaches landing and begins externally rotating his femur relative to his acetabulum, the entire hip complex moves together, as one unit. Rotation of the pelvis, again, begins prematurely. The lack of independence between the femur and the pelvis on both the drive leg and the landing leg contributes to a considerable biomechanical inefficiency, poor energy transfer, and, ultimately, a ton of potential velocity left on the table! This is just another example of why athletes need to be able to dissociate articulations, and why joint preparation is such a big part of our approach to treating, preparing, and managing the baseball athlete, regardless of age or training status. Can my athlete’s joints do what I am asking them to do? https://elitebaseballperformance.com/wp-content/uploads/2017/03/1.png 512 1024 Stephen Osterer http://Elitebaseballperformance.com/wp-content/uploads/2016/12/ebp-green-transparent-horizontal-logo-300x96.png Stephen Osterer2017-03-07 06:00:322017-03-02 12:06:41Can Your Athlete's Joints Do What You're Asking Them to Do?